Malabu oil deal: Compel Jonathan to appear if necessary, MEND tells Reps – Royal Times of Nigeria. 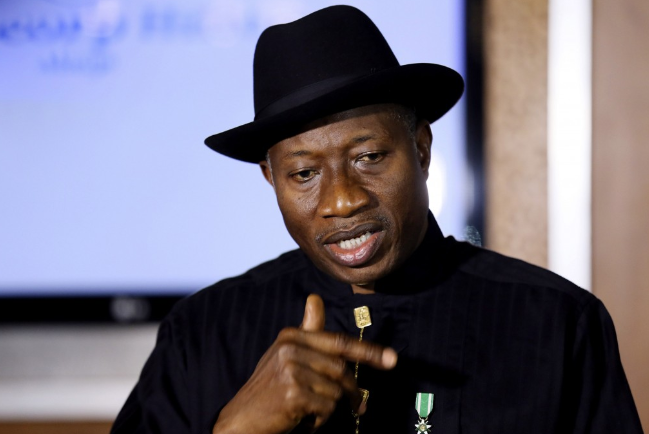 The Movement for the Emancipation of the Niger Delta (MEND) has called on the House of Representatives to compel former president Goodluck Jonathan to appear before it over the controversy surrounding the OPL 245 Malabu oil deal. In a statement by its spokesperson, Jomo Gbomo on Monday, MEND said there were reasonable grounds to suspect that Jonathan compromised his former office. MEND said; “Former President Goodluck Jonathan is reported to have received the whooping sum of $200m as kickback from the controversial OPL 245 Malabu oil deal. “We are compelled by natural justice, equity and good conscience to lend our voice against the most ignoble and despicable role played by the former President in the messy affair which has tainted the image of Nigeria both locally and internationally. “Like millions of Nigerians at home and in the Diaspora, who have keenly followed the OPL 245 saga, we have reasonable grounds to suspect that former President Jonathan may have indeed compromised his high office with regard to the matter, more especially, given the fact that key officials of his administration, including the then Attorney General of the Federation, Mr. Mohammed Bello Adoke, have been indicted and charged before the Federal High Court in Abuja. “To be sure, the Niger Delta region is no longer hostile to the business interests of the IOCs, including SPDC, as peace has since returned to the area; following the enervating efforts of the Movement for the Emancipation of the Niger Delta, the Pan-Niger Delta Forum, the various state governments, as well as the Federal Government. “There is, therefore, no reason whatsoever for SPDC to relocate back to Lagos. We use this opportunity to warn that we shall reconsider the unilateral ceasefire of May 30, 2014 if SPDC relocates back to Lagos,”.